If you would like to ensure your move is handled by the best team in the business, then call Moving Service today. We have the perfect solution for you. We offer the best expert assistance available, meaning those moving to Harmondsworth never need to worry about how best to approach any removals. We understand the business better than anyone, bringing years of experience to every single move. It doesn’t matter what you need help with, from those little details during a house relocation to the biggest office based moves around, we always provide the expertise you require. With this in mind, all you need to remember is to call 020 8746 4402 and get chatting to a member of our team about the same-day service we offer and how exactly we make a difference for you. What Do You Need To Know About Harmondsworth? As part of the borough of Hillingdon, Harmondsworth is on the outer west reaches of the city of London. It only technically became part of the capital as it expanded during the 1960s. It is perhaps most famous for its proximity to Heathrow airport – one of the busiest in the world – as it shares a border with the international hub. Due to the nearby airport, British Airways have built their headquarters in the area, in Waterside. As well as this, there are two pubs in the area and a primary school. Notable buildings typically relate to the area’s rural past, with the fifteenth century Harmondsworth Great Barn managing to last to this day. Walking to and from nearby areas is not as easy as it is in the centre of the city, but places like West Drayton, Iver Langley, Colnbrook, Sipson, Stanwell Moor, and Bedfont are all familiar locations not too far away. When you hire our team, you are bringing the wealth of experience we bring to every job. This helps you relax, as many people find the stress and worry involved in any move to be one of the worst parts. Because we help with everything from packing to selecting the right removal van, we make finding the right removal services in UB7 region a simple case of dialling our number and arranging simple, stress free assistance. If you have ever moved before, then you will understand the toll it can take. Not only is it stressful, but the whole process can be very tiring. That’s why hiring in the experts really does allow you to take it easy. You will not have to worry about anything if you book with us. Professional removal services are all you need when thinking about any move. 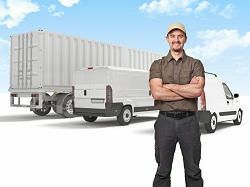 Moving Service are here not only to save you time and effort, but to make sure you save money at the same time. Unlike any other removal company in Harmondsworth, we drive down the cost of moving into a new home or office, finding those savings customers love. Our experience makes these cost effective professional solutions so much better than you might have imagined. While some struggle with the stress and hassle of the move themselves, and others pay over the odds for house removals in UB7 region, we combine the best of both worlds to make certain every customer is getting exactly what they need on every single occasion. So, if you are tired of the stress and the effort of moving home, as well as the cost many other companies impose, you only need to call 020 8746 4402 right now and get a free quote for the best solutions in the industry.